In the next window click on Google Play. 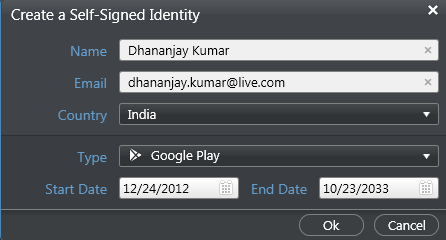 You will get an error message that there is no certificate or Code Sign Identity found for Google Play Signing. 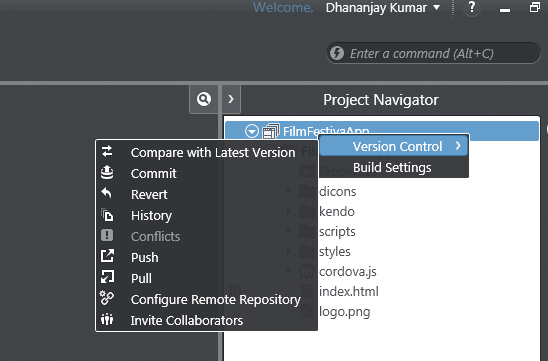 To solve this issue click on the option in Icenium Graphite IDE. 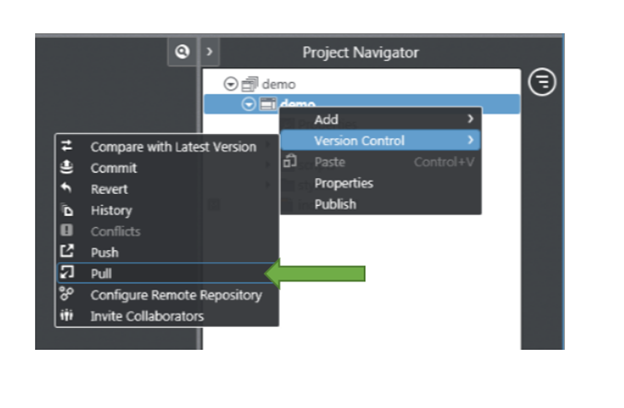 In Users Option window select General tab and then Certificate Management option. Type of the self-signed identity. In this choose Google Play as option. Other option available is Generic. After creating Self-signed identity you can find them in Cryptographic Identities section. Below you can see that I have created three self-signed identity. 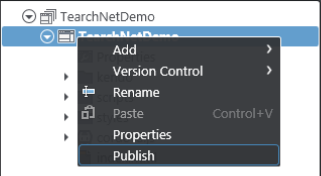 After creating Self-signed identity right click on the project and select properties in the properties windows, select Android tab. 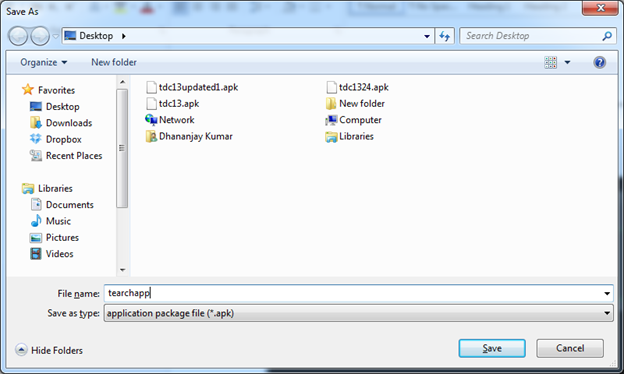 Here you can set various application properties for android platform. 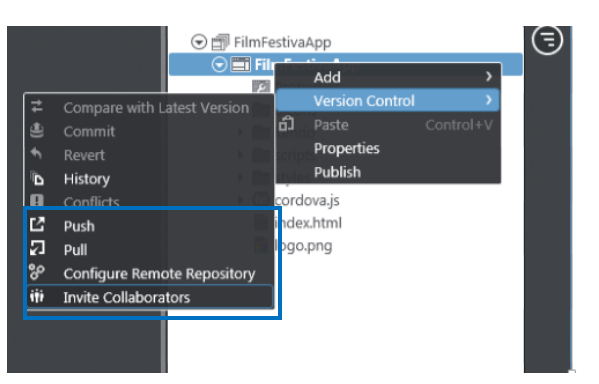 From the Code Signing Identity drop down, select any existing certificate to associate it with the application. You can set icons, application permissions for Google Play here. 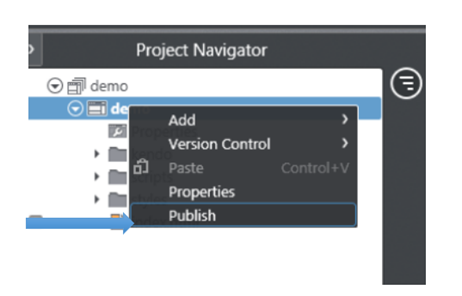 After associating self-signed identity again right click on the project and select publish option. 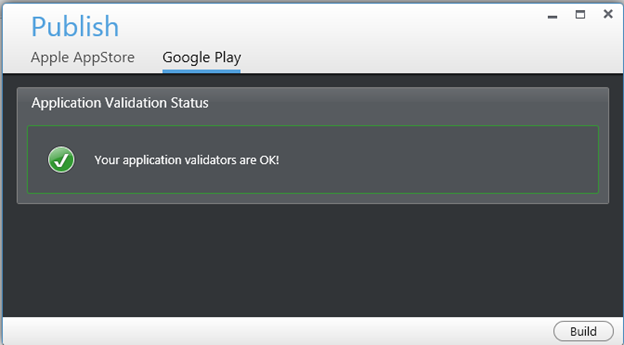 You will get Application Validation Status message as OK.
Next click on the Build button to create the package. 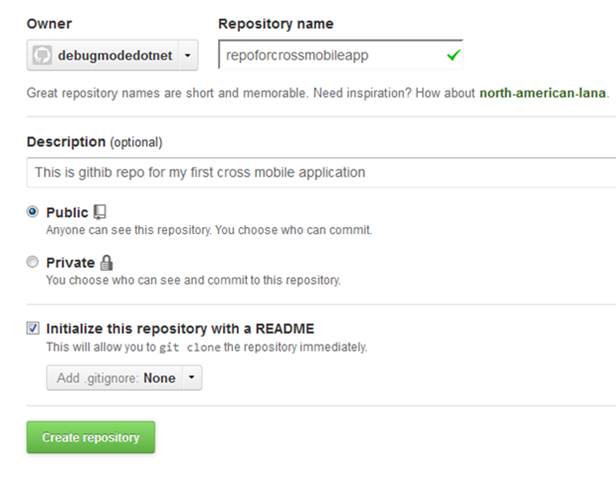 Icenuim will build the application in cloud and ask you to give a name of the apk package and save it locally. 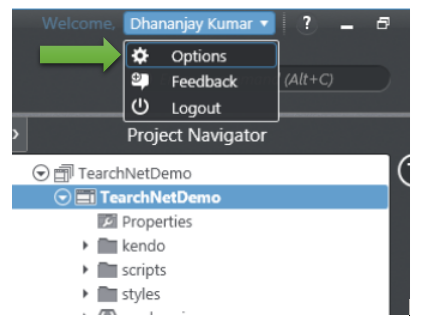 In this case we saved APK with name tearchapp. Now you can submit the APK file to Google Play to publish application. I hope you find this post useful. Thanks for reading. 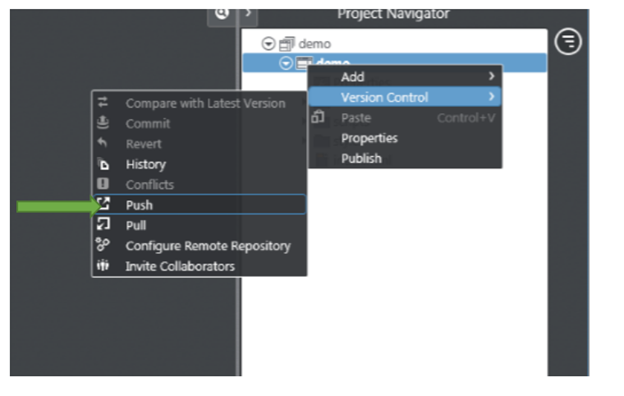 Icenium Cloud based IDE got launched and I found this “one stop solution” to create Hybrid applications or Cross-platform application very impressive. 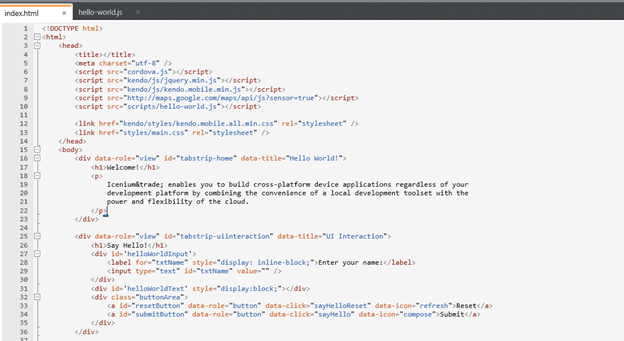 While playing around Icenium, I liked almost every features in this Cloud based IDE. However below I am listing my favorite 5 features. In further post, I will discuss more features and step by step explanation to work with them. 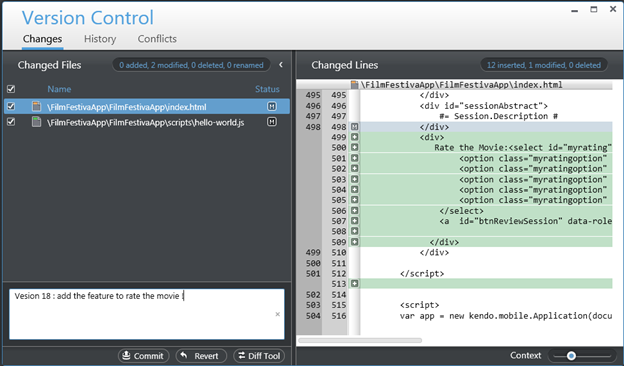 So my one of my favorite feature in Icenium is its elegant Code Editor. If you have created any Android application then you may be knowing that you need to have a certificate to create apk file. 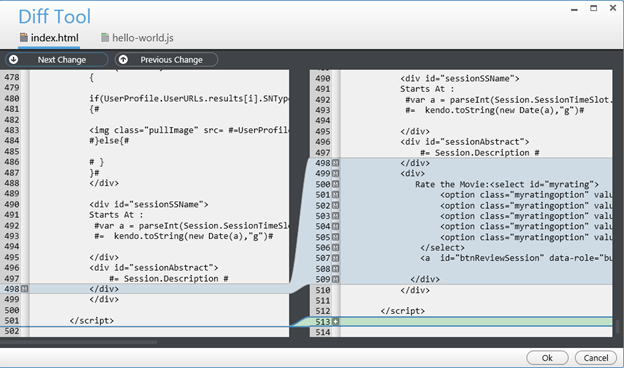 Icenium allows us to create and mange certificate right from the IDE. 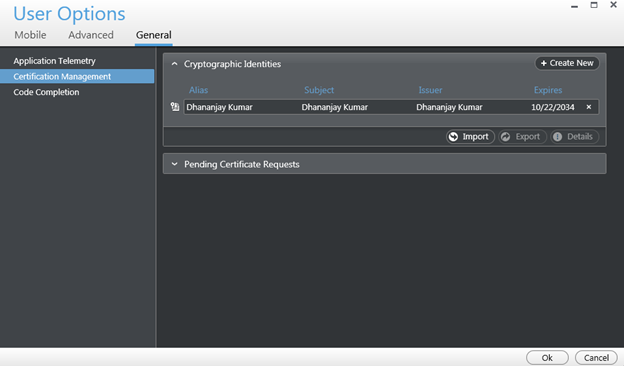 Creating certificate right from the IDE is one of the cool feature. 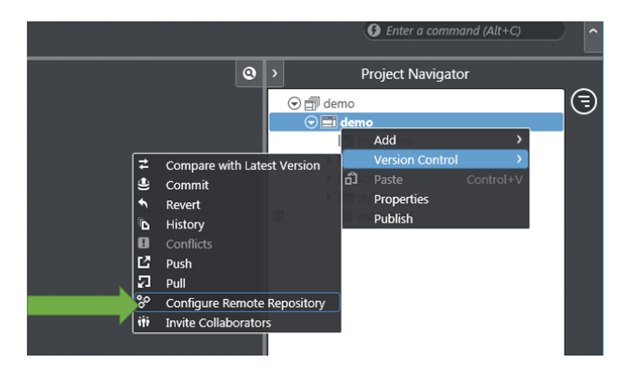 We can compare changes, navigate from one change to another as shown in the below image. 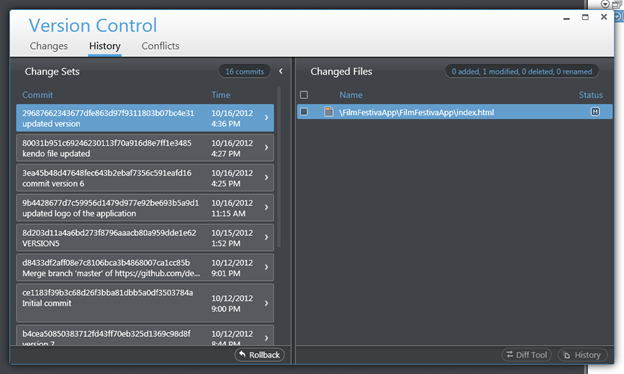 Version control is one of the cool feature I got impressed while playing with Icenium. 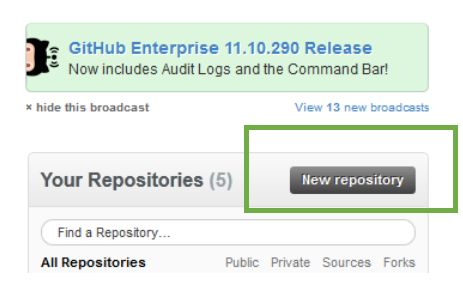 Right from Icenium IDE ,we can sign the code , configure the permissions and set the icons of the application. In Icenium with a right click on the project , we can publish the application. I hope you like these fetaure and you are all set to play around Icenium. Thanks for reading this post and I am looking very forward to share more learning on Icenium with you in furher post.